“Best alumni magazine issue yet”. This is what Westover School heard from their alumnae after our design agency crafted our 5th consecutive Alumnae Magazine for them. 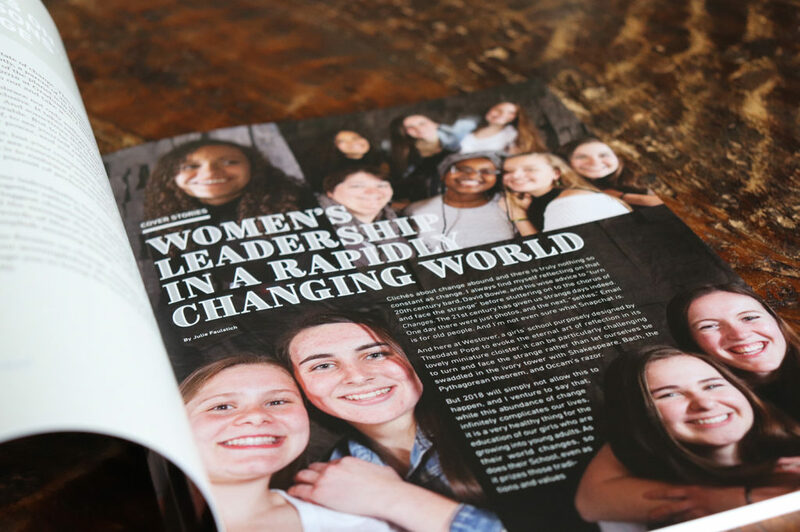 When designing this magazine for Westover, an all girls high school, we now have the look-and-feel down but with each issue we want to bring something new. It might be as small as increased text or grey style to black for better accessibility. This time we also wanted to bring a creative cover to match the cover story. We kicked off the project with a meeting where we discussed the cover story article: “Westover Women: Making an Impact in an Everchanging World.” Next, we brainstormed ideas and collected image references for the Westover team. The goal for these was for Westover to direct a cover photo shoot. The cover article features a change to the dress code, so the cover photo needed to match the significance of the article. The goal was to feature the students in untraditional school attire (blue jeans) and stagger the group of 7 with the head of school to make a dynamic group shot that also worked with our vertical cover composition. For the inspiration of the cover story, we looked at group band photos and magazine covers that featured 8 people. 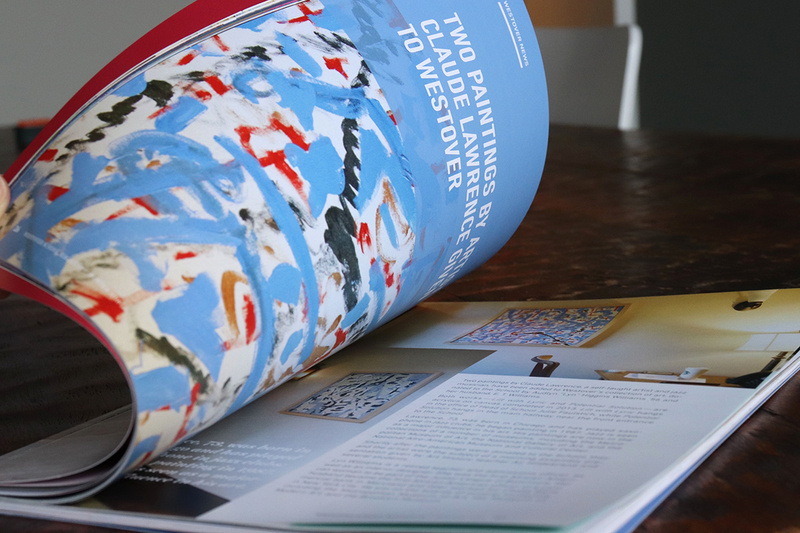 We presented sample covers to Westover to get inspiration on this cover, so the look and feel of the cover would match the rest of the magazine. It’s not easy to capture 8 people on a magazine cover however photographer Caleb Portfolio, did a great job. It’s always a challenge to orchestrate a schedule that works for our team as well as Westover’s team. There are a lot of people involved in curating and proofing content for a magazine like this, so trying to stay on schedule can certainly be a challenge. We do our best to create a realistic timeline with the team up-front knowing that we may need a buffer here or there. We expect some hiccups along the way, but do our best to check-in with the client and push to stay on schedule as much as we can. Opus Art Director, Ellery Curran enjoyed the project management and seeing everything come together. It can be very fulfilling to create a schedule and outline the structure of the magazine and then watch it come together with a team of people.